Units in Lang Lang Piano Academy: mastering the piano, Level 3 (approximately equivalent to Grade 3/Late Elementary) focus on exploring the keyboard, developing dexterity, the pedal, strengthening your hands, chords, playing in new keys, independent fingers, and independent hands. Titles: Xmas bells (Hindson) * Cradle song (Grieg) * Little prelude in C (attrib. JS Bach) * Clowns (Kabalevsky) * Hua hao yue yuan (trad. Chinese) * By crystal stream (Carroll) * Les pifferari (Gounod) * Chant of the Cree (Bullard) * Sarabande (Handel) * The wild horseman (Schumann) * Prayer (Karganoff) * Vivace in A (Rathgeber) * Old French song (Tchaikovsky) * Air from Water music (Handel) * Romanze (attrib. Beethoven) * El cƒ³ndor pasa (Robles). 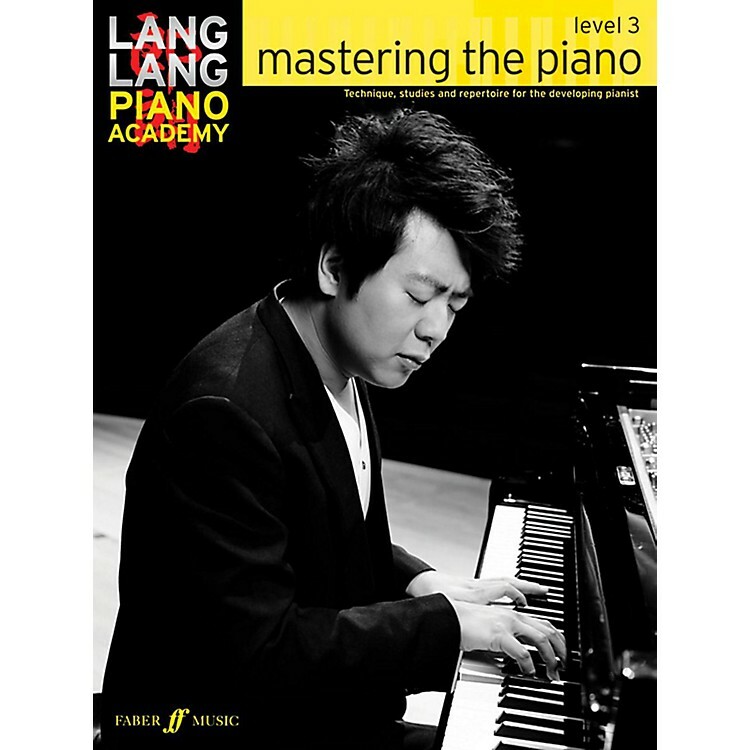 Lang Lang Piano Academy -- Mastering the Piano (Level 3). For Piano. Book; Method/Instruction; Piano Method. Published by Faber Music (AP.12-0571538533).